The Apollo 1 mission was planned to be the first manned flight to test the new Apollo spacecraft in space with the aim to orbit Earth for 14 days! 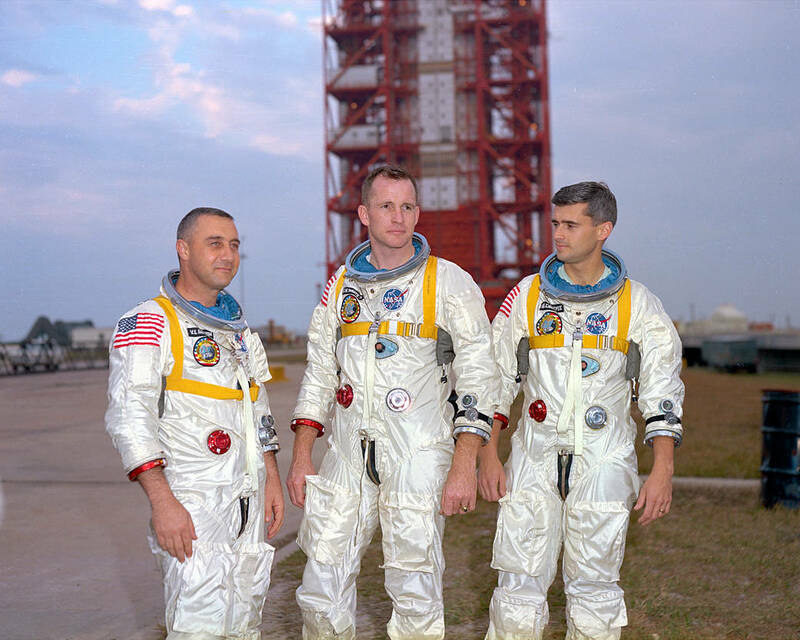 However, on January 27th 1967, tragedy struck on during a preflight test when the three astronauts Virgil Grissom, Edward White and Roger Chaffee lost their lives during a fire in the new Apollo Command Module. Fast Summary Facts About The Apollo 1 Mission! 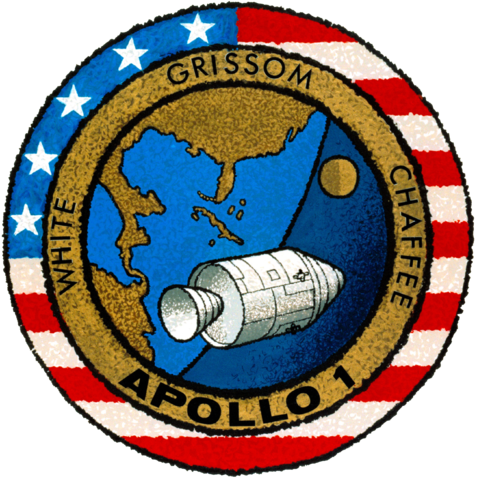 Apollo 1 was to be the first manned test flight of the new Apollo Command/Service Module (CSM) in Earth orbit to test launch operations, ground tracking and control facilities and the performance of the combined launch assembly. The mission was to be launched on the smaller Saturn IB rocket. The Apollo 1 was planned to have lasted up to two weeks. 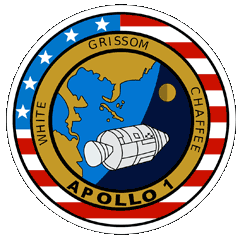 The mission insignia showed the CSM over the United States with Florida (where the NASA manned launches were conducted) emphasized with the Moon in the distance which was symbolic of the Apollo Program’s goal. 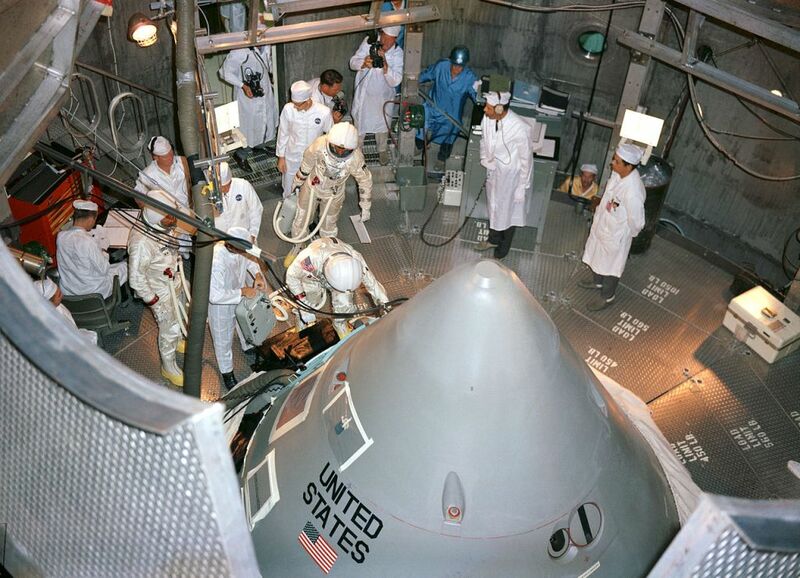 On the morning of January 27, 1967, during a launch simulation test, the new spacecraft was being tested to determine whether it would operate as expected on its own internal power, a fire in the pure oxygen environment inside the capsule resulted in the death of the three astronauts. It took a long five minutes for the pad workers near-by to open all three hatch layers and get to the astronauts. The astronauts were found to have suffered severe third-degree burns and partial melting of their spacesuits and that they had died of asphyxiation due to the fires carbon monoxide. Strangely the crew had previously expressed concern about the amount of flammable material (mainly nylon netting and Velcro) in the cabin. An exhaustive investigation was ordered after which many failing of the design and procedures were found. Future launches were grounded and delayed over 18 months due to this process. 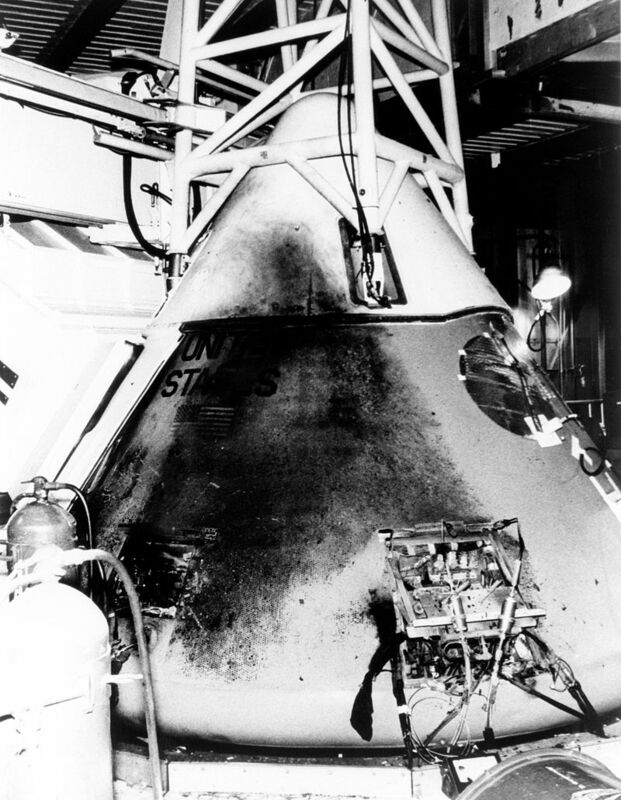 After the fire, the Apollo Program was grounded for review and redesign. Following extensive design changes, and improvements to safety that the final report suggested, the manned Apollo flights recommenced with Apollo 7 which carried out the objectives of Apollo 1. The Apollo 1 Command Module where the astronauts died has never been on public display, however, on the 50th anniversary of the fire, NASA put the hatch from the capsule on display alongside the remains of Challenger and Columbia.